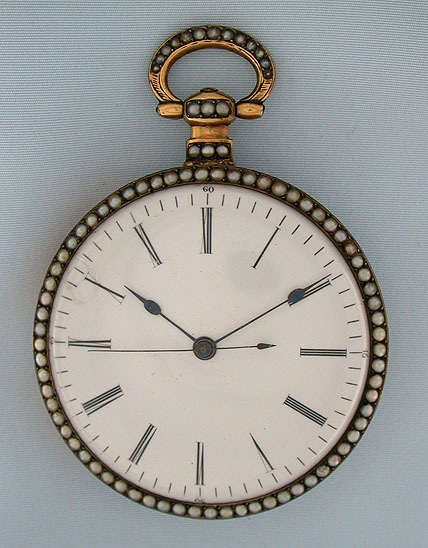 Beautiful large Swiss silver gilt pearl and painted enamel jumping center seconds Crab Tooth Duplex antique pocket watch for the Chinese market circa 1850. The bezels, pendant and bow set with pearls. 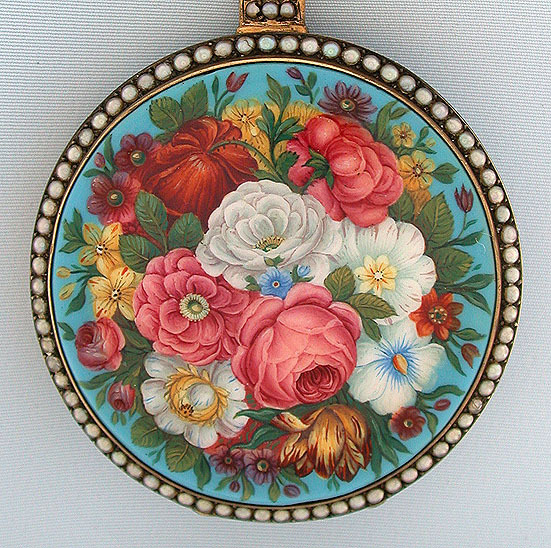 The back with a lovely painted enamel bouquet against a light blue background. 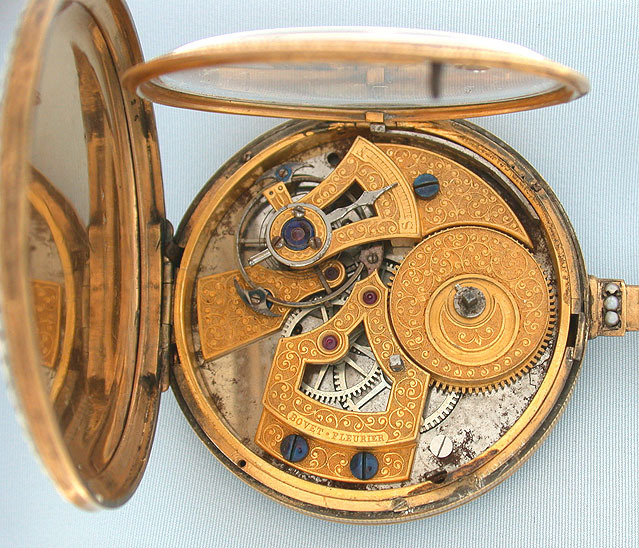 The fully decorated movement with elaborately decorated gilt bridges and polished steel dial plate (some oxidation). Crab Tooth duplex escapement, the balance with "devil" weights to chase away bad spirits. 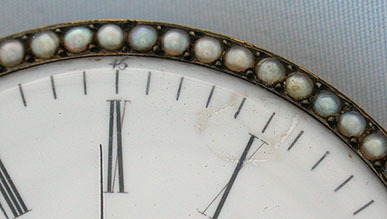 White enamel dial (repaired chip) with blued steel hands.